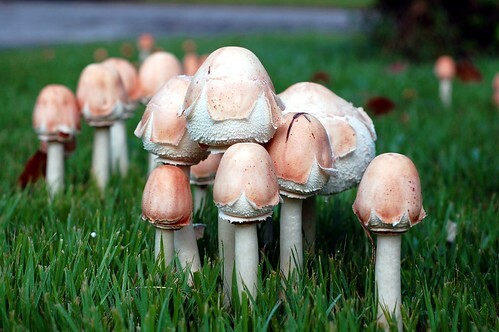 After a day of drizzle, I woke up this morning to find our lawn covered with these guys. You already know but I'll share with everyone else. I love this picture so much I put it on my desktop. Looks cool on duel monitors. Thanks for sharing!